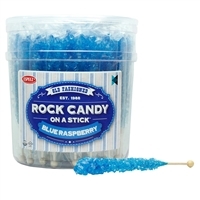 Whether you are looking for a wholesaler from whom you can develop a business relationship with or are an individual looking to buy the treats you love in bulk, we have the wholesale sweets you are looking for. Best of all, we offer the ability for you to order sweets online, saving you time and money. With just a few clicks of a mouse, you are on your way to a shipment that will last. When it comes to customer satisfaction, we have the manpower and dedication to meet your needs. A sale is not as important as an ongoing relationship, and we go the extra mile to ensure your bulk unwrapped candy order meets your expectations. From the time you place your order for wholesale candies to the moment they arrive at your door, we are there to make sure the transaction is a smooth one. 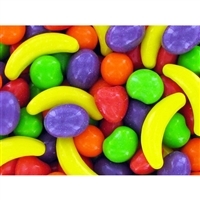 With the variety of bulk candies we have conveniently available on our website, it is easier than ever to find exactly what you are in the market for. Classic fruit flavor Jelly Beans. First they're sour then they're sweet! Sour Patch Cherries are gummies covered in a sour coating. Sour, Sweet, Gone! If you’re looking to buy Swedish fish in bulk for your store display or you just want a cost-savvy treat, this five-pound bag of Swedish fish is for you. The sizeable yet affordable bag features the candy in its “mini” variety for a kid-pleasing twist on the original. Best of all, the bag features only the red fish candy: the most universally-loved flavor! There won’t be any cherry-picking with this bag. Order your bulk Swedish fish candy today and receive free shipping on any purchases of $99 or more! Classic M&M's in baking size pieces.